"The world of the peaceful Darwinians has been decimated by an evil virus and without your help they have no hope of survival. 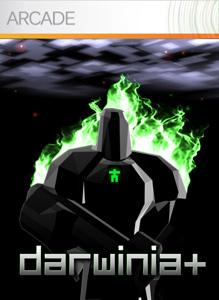 Play the full campaign or take control of a Multiwinian army and challenge your friends to some digital carnage in this IGF award winning action-strategy classic from Introversion Software. It's a stick man slaughter where only the flattest survive."